At Classy Cuts Salon, we bring you the very best in classic and contemporary salon services with our experienced and skilled stylists. Our beauty salon provides everything from haircuts and styles to waxing and tanning. When you want to be pampered, our salon is the place for you. When you’re looking for a beauty salon in Ephrata, WA, to give you a full beauty work-up, visit Classy Cuts Salon. 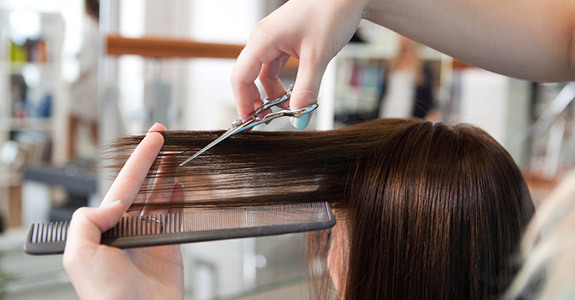 With over 15 years of experience, we have honed our skills and are able to offer you the absolute best results of any hair salon in Ephrata, WA. Have difficult to manage or problematic hair? No problem. You just haven’t visited the right salon yet! Our stylists will give you the look you’ve been craving, whether it is a classic cut or a fashion forward trendy look. We’ll take the time to work and work carefully with you to understand your needs. Our salon provides great haircuts and coloring for all types of hair. We offer specialized beauty salon services like waxing. Our beauty salon comes equipped with a tanning bed. We bring years of experience to beauty care. We carry a wide selection of hair care and styling products. Beauty Salon, Hair Salon, Styling Services, Barber Shop, Hair Care, Tanning Salon, Tanning Products, Eyelash Extensions, Salon Services and much more. For hair styling and other salon services, there is no better name in the business than Classy Cuts Salon.